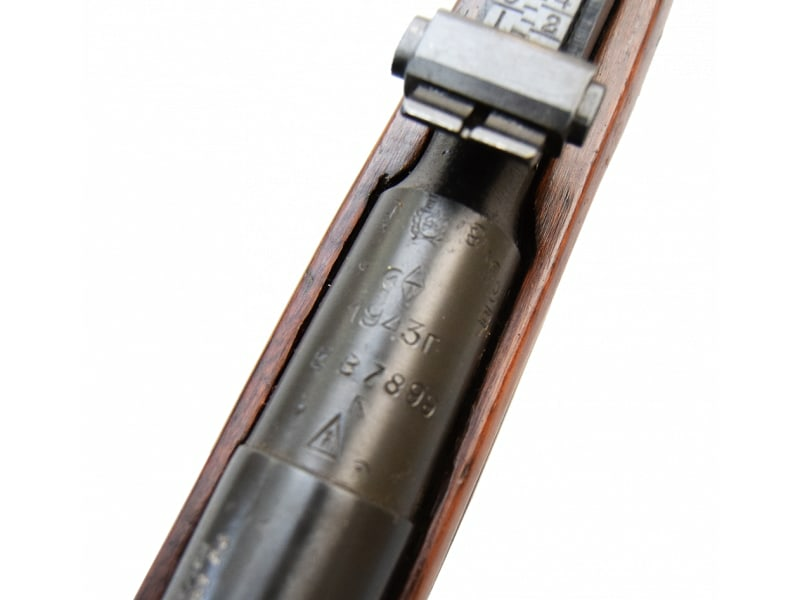 Nice small lot of arsenal refinished Russian M91/30 rifles. 7.62x54r caliber, 5 round bolt action. These came to us pre-boxed for maximum protection and are one of the nicest group of surplus rifles we have seen in some time. 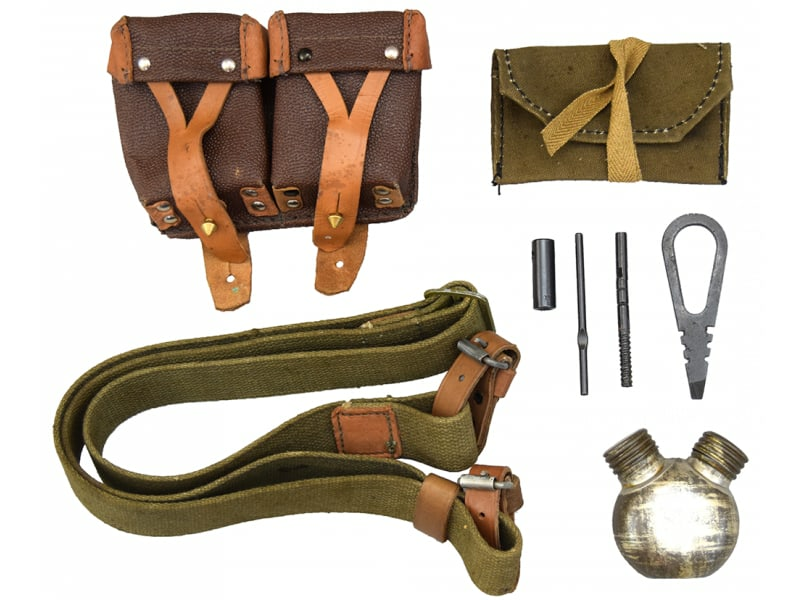 Each rifle comes complete with a bayonet, original dog collar sling, two ammo pouches, oil bottle, canvas pouch and small tool set. Nice wood stocks and a smooth metal finish. We offer several options under our custom option feature receiver type and manufacturer. Note - We say in the video that the rifles we have seen have nice original serial #'s in heavy case lettering and that is true. However, these rifles came to us pre-boxed and we have only seen a very small sampling. We make no guarantees in regards to original serial #'s either matching or otherwise. Also, as with all surplus firearms conditions will vary. See Brutus' description for more details. This is a very special group of Russian made rifles that were imported from the Ukraine and have a very slight modifications which made them purchase legal for the Ukrainian civilian market and also allowed them to be exported. See video and Brutus Description for full details. 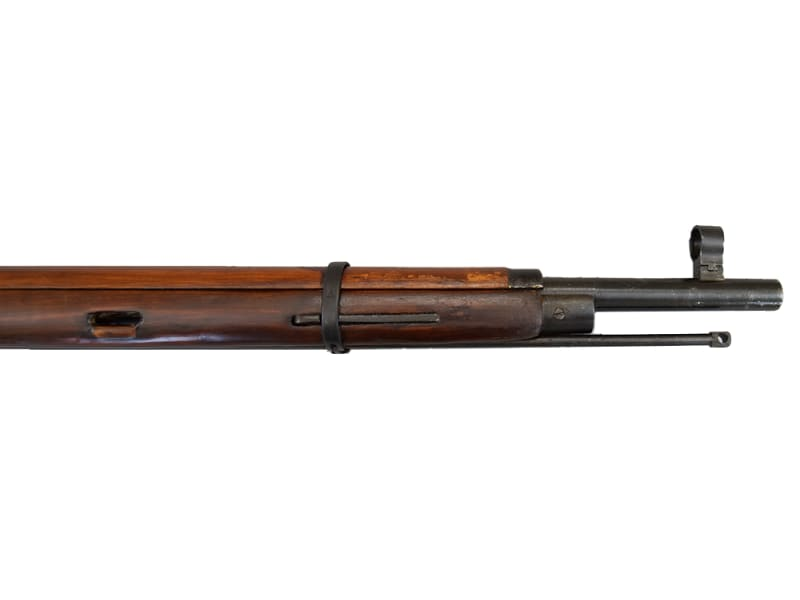 Nice small lot of arsenal refinished Russian M91/30 rifles. 7.62x54r caliber, 5 round bolt action. These came to us pre-boxed for maximum protection and are one of the nicest group of surplus rifles we have seen in some time.Each rifle comes complete with a bayonet, original dog collar sling, two ammo pouches, oil bottle, canvas pouch and small tool set. 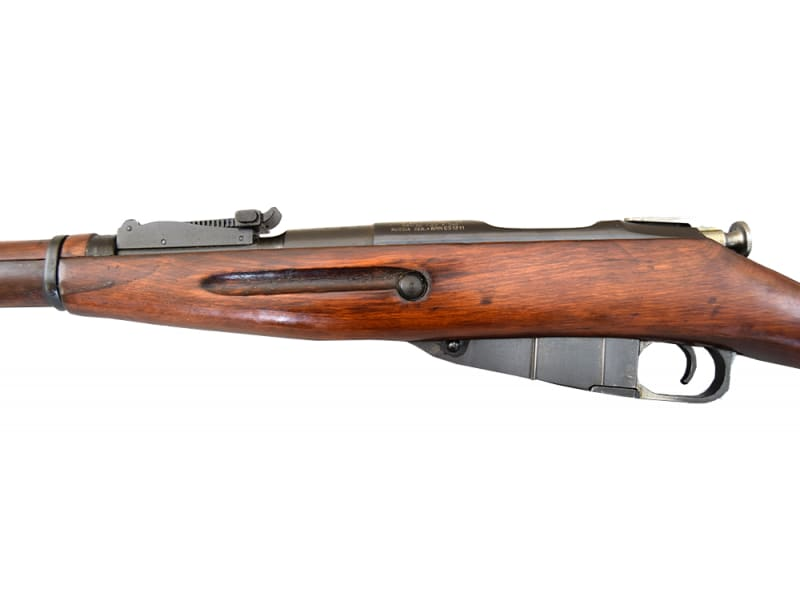 Rifles feature nice wood stocks and a smooth metal finish. We have sorted the rifles by manufacturer and receiver type ( Round or Hex ) and offer several different options under our custom option tab at different price points. As with all surplus the stocks will vary from rifle to rifle in color and will show some storage marks ans possibly some very minor scuff's ... but they are very nice overall. Bluing is consistent and close to 100%. Again we are not representing these as perfect as all surplus will vary and some will certainly be nicer than others but this is as a nice lot of arsenal refinished surplus rifles as we have ever seen overall. 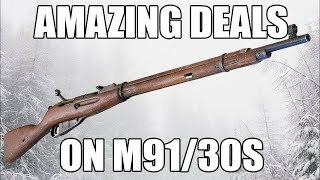 M91/30 rifles, especially nice ones, have been extremely difficult to get and we feel very fortunate to have acquired these. Important Notice - We say in the video that the rifles we have seen so far from this group have nice original serial #'s in heavy case lettering and that is true. 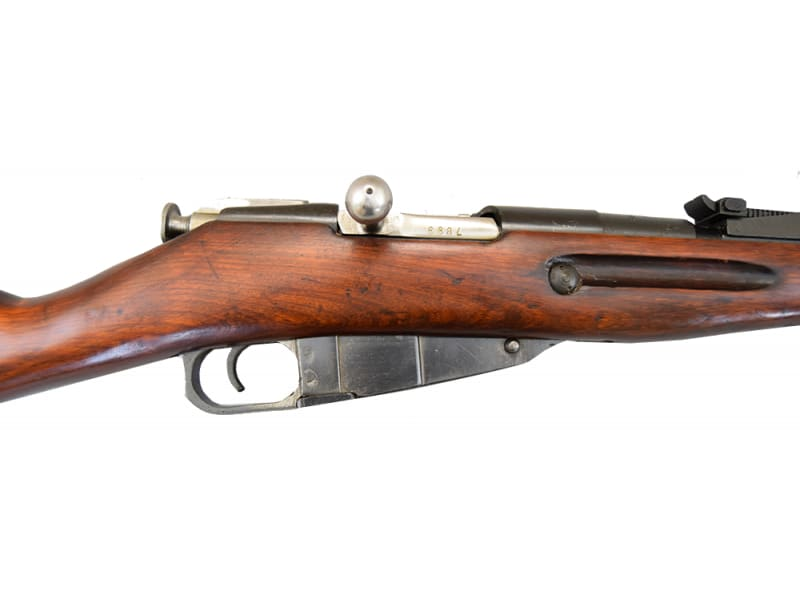 However, these rifles came to us pre-boxed and we have only opened or viewed a very small sampling. We assume the small sampling we have reviewed will be mostly representative of the lot. However, we also know full well that surplus characteristics can vary from piece to piece and that all of the rifles in the shipment may not be exactly the same as the samples we have reviewed in regards to original serial #'s. i.e. there may me some scrubs, force matches ... etc. As such we make no guarantees in regards to original serial #'s either matching or otherwise and will accept no returns in regards to markings. Also, while the sample rifles we have looked at have all looked really good there is always an ugly duckling or two in any group of surplus. As such, while we are confident that the rifles shown are representative of the conditions as a whole, these rifles are still surplus and as with all surplus conditions will vary. 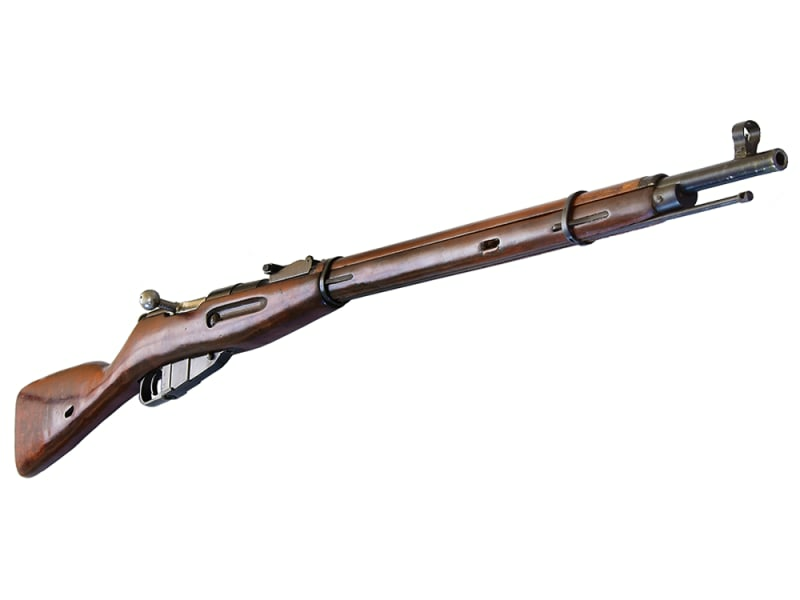 Note - This very special group of Russian made M91/30 rifles were imported from the Ukraine and have some special markings and a very slight modification to the rear sight which is pinned at the 300 meter mark. 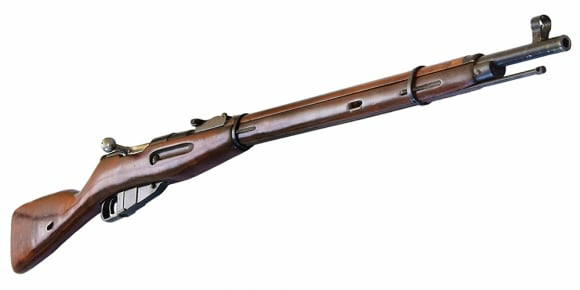 This modification made the rifle legal for the Ukrainian civilian market and also made them legal to export which is how they were obtained. The pin can be dremeled off from the rear and removed by the end user if so desired but we have chosen to leave the pins as these are how they were purchased and should make them very unique to the U.S. market. 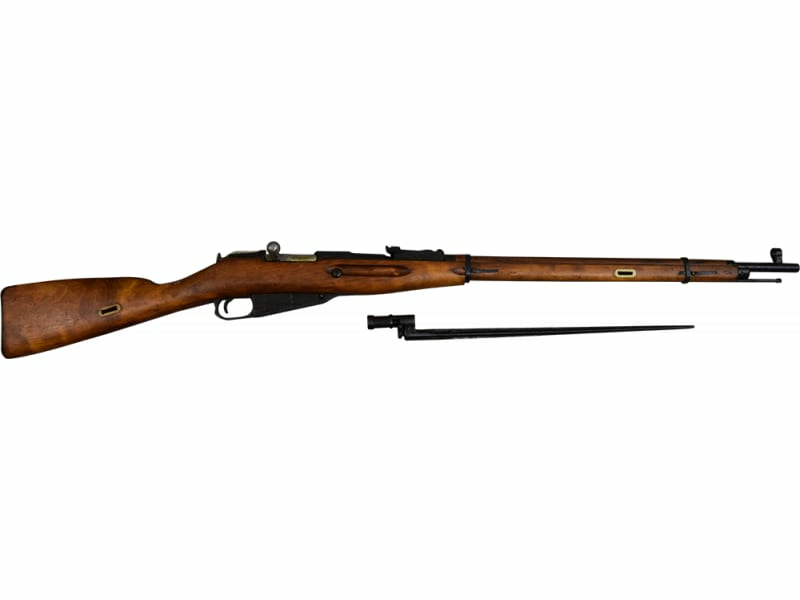 The availability on these rifles were limited to a very small lot of guns that were marked and designated as permissible to the Ukrainian civilian market prior to the Russian invasion / annex of Crimea in the Ukraine.